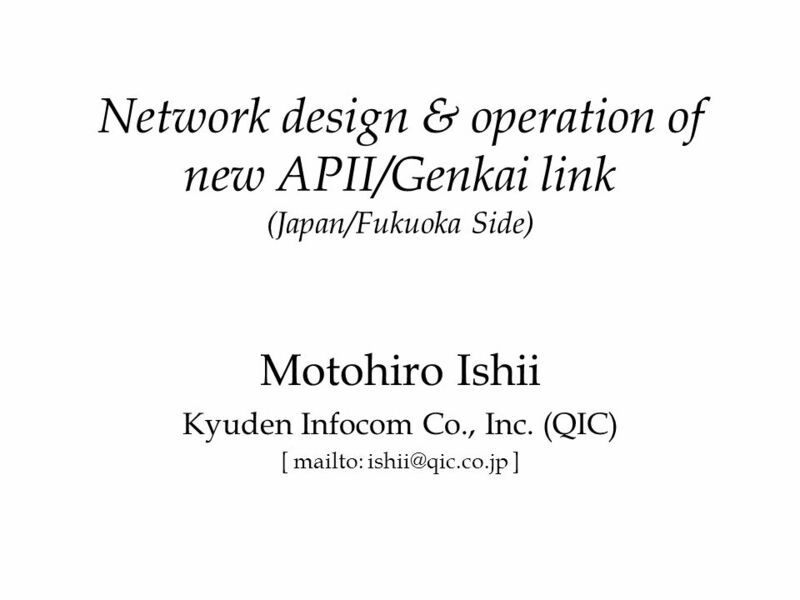 Download ppt "Network design & operation of new APII/Genkai link (Japan/Fukuoka Side) Motohiro Ishii Kyuden Infocom Co., Inc. (QIC) [ mailto: ]"
IT Week Report Middle School Project Toshihiko SHIMOKAWA Kyushu Sangyo University. South East Asia Next Generation Internet Present at APAN 2003 in Busan, KOREA. 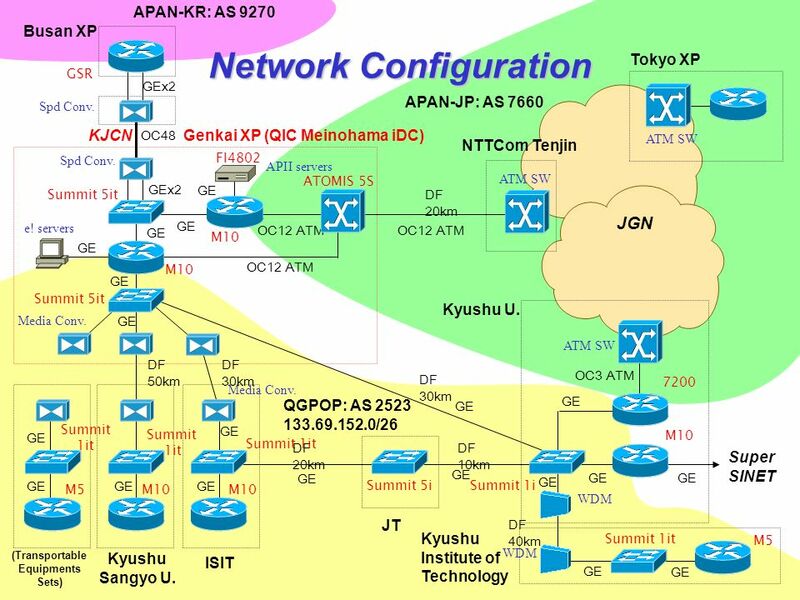 Kazunori Konishi NOC Director of APAN-JP Consortium Seoul NOC Report. 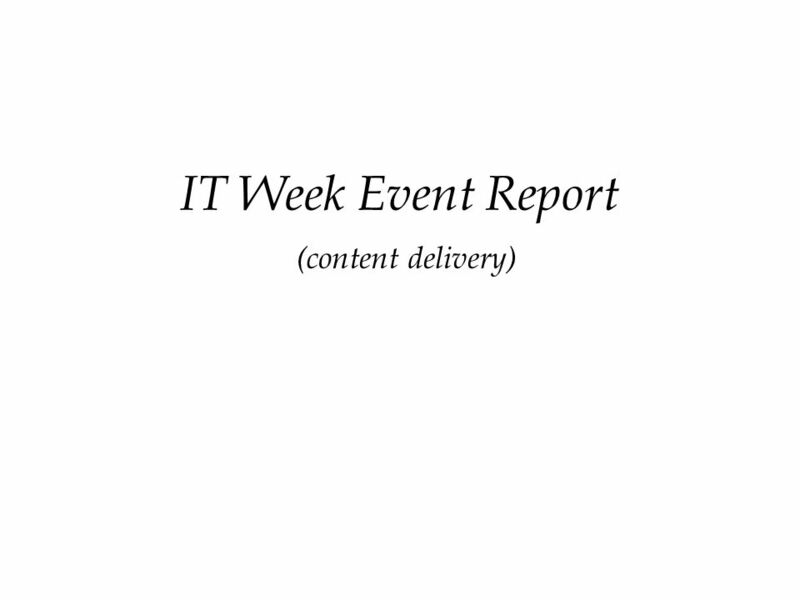 Engineering Meeting Report Aug. 29, 2003 Kazunori Konishi. 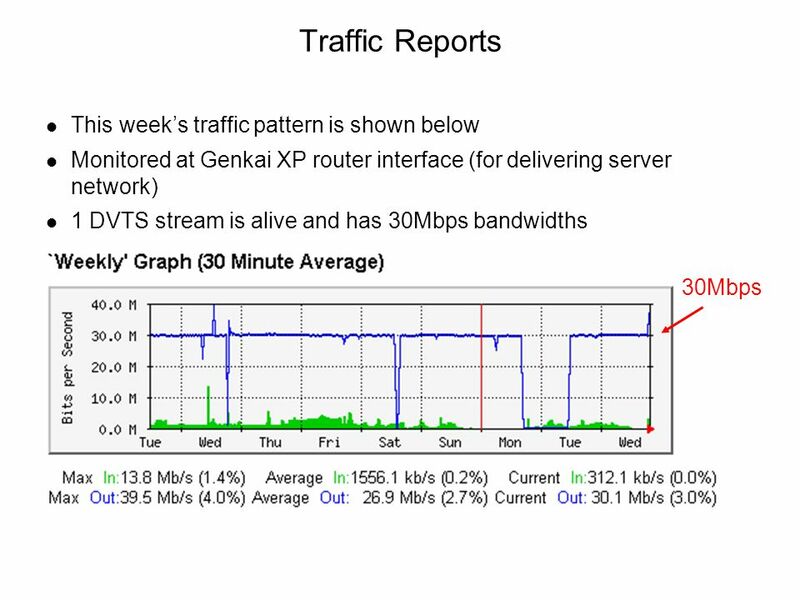 ETRI Electronics and Telecommunication Research Institute One-to-Many Video Delivery using Relayed Multicast Scheme Shin-Gak Kang, Juyoung Park Electronics. 1.5G HD Streaming Deployment between Japan and Korea Koji OKAMURA and Ichiro Yamauchi, Lee Jaehawa. 18th APAN Meetings/QUESTnet 2004 in Cairns 18th APAN Meetings/QUESTnet 2004 in Cairns Cairns, Australia Cairns, Australia 18th APAN. Lee, Seungjun ( ) Korea Advanced Institute of Science and Technology August 28, 2003 APAN Measurement WG meeting eTOP End-to-end. Resource Allocation Subcommittee Meeting On Jan in Bangkok. 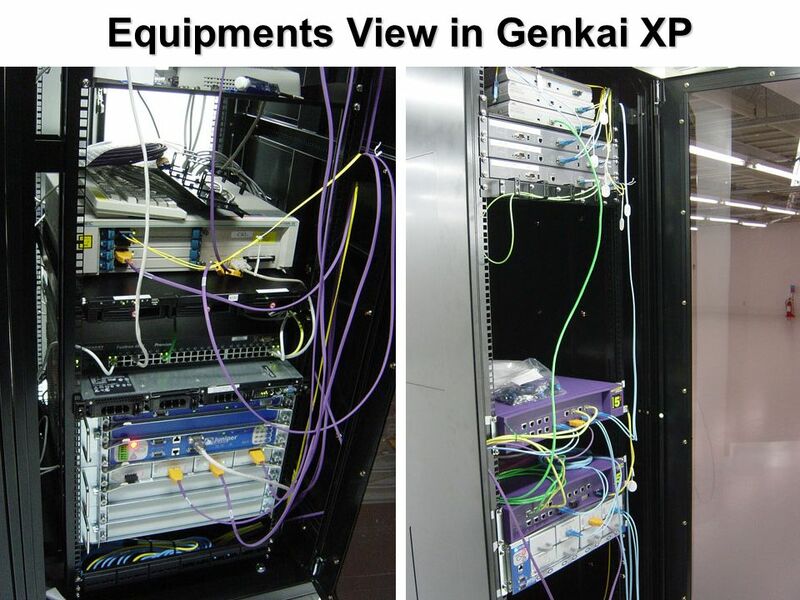 High Performance Research Network. Development Lab. 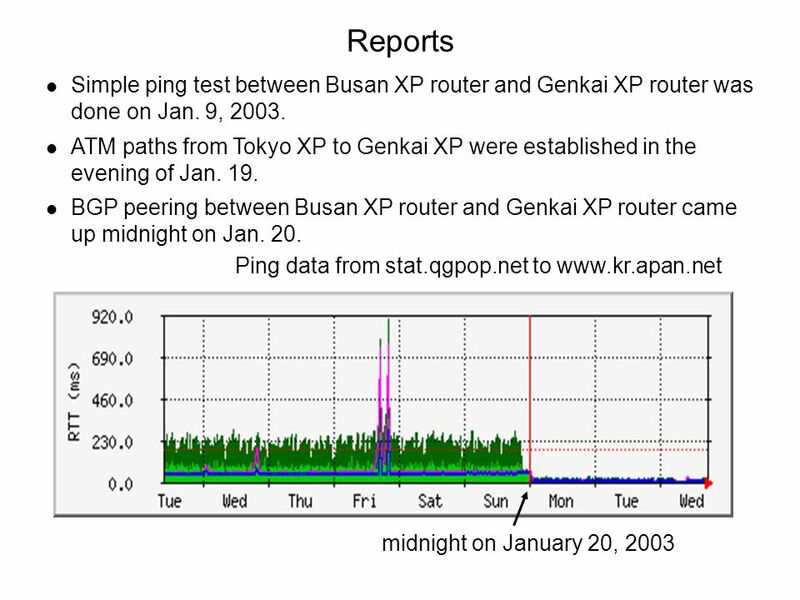 / Supercomputing Center 1 Design of the Detection and Response System against DDoS attacks Yoonjoo. 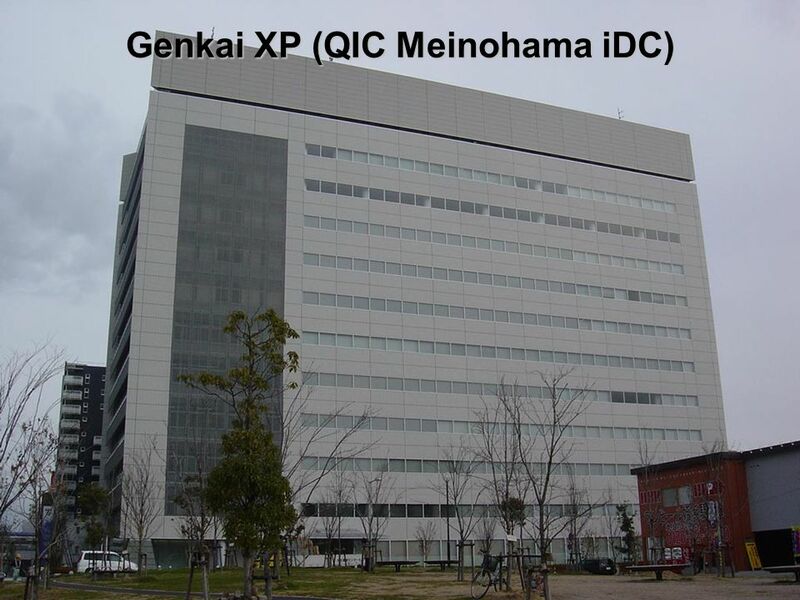 Toward Stable Operation of Genkai/Hyeonhae/APII link Yoshinori Kitatsuji APAN Tokyo XP KDDI R&D Laboratories, Inc.
Masaki Hirabaru ISIT and Genkai Genkai / Hyeonhae Workshop in Fukuoka Feb. 27, 2003 Performance of G / H Link.